We’ve already seen images of the Rogers BlackBerry Bold 9700 dummy phones beginning to arrive at Rogers deployment warehouses and some stores. 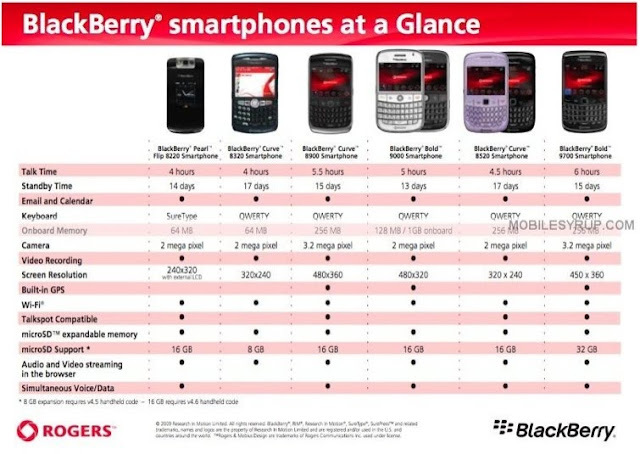 Now, according to this chart, which shows the specs of the BlackBerry devices Rogers carries, the Bold 9700 will Talkspot compatible. We’re hoping nothing changes and Talkspot is available at release, which is supposed to be November 4th. The Rogers Talkspot is an awesome feature that lets you make unlimited calls as long as you are in your “home calling zone”. The Rogers Bold 9700 will be available for $299.99 on a 3-year contract with a minimum $45 monthly Voice and Data plan.